Advice to aspiring fashion journalists from industry experts. Are you a journalism student/aspiring journalist looking to specialise in fashion? Here are some handy tips I received from journalism experts participating in the Guardian Careers live Q&A debate: "Should you pursue a career in journalism?" "Hi, I am a second-year multimedia journalism student at Bournemouth University and enjoying my studies. However, I find the course is very dedicated to news journalism, whereas my personal interests lie more in fashion journalism and photojournalism, which aren't taught specifically on the course. Therefore I am wondering, what would be the best way to further my career in such a direction? > Photo Editor for an upcoming student-run newspaper, The Promenade." "Core journalism skills are necessary, whatever branch of journalism you end up in, and a spell in news will often make you a better writer on a specialist subject. It sounds like you're doing all the right things in demonstrating you know the subject and more right things in learning the basics of journalism and story telling. Now all the other bits of job hunting advice come into play." "I think you are doing all the right things. Whenever you get opportunities, even on news days, team projects, individual feature writing assignments, you will be able to steer your portfolio more and more down the avenue you want. But remember to think of placements where people have fashion sections as well as being fashion publications, or what of the fashion houses that need help with their in-house publications? For example, Topshop, AllSaints, Jigsaw - they are all working to get more and more direct contact with their customers through in-house magazine-style publications, but will not really have as much experience or competition for jobs. Also, the airline customer publishing sector is a really good one to get a first job - write a range for them including fashion and spring board off that. 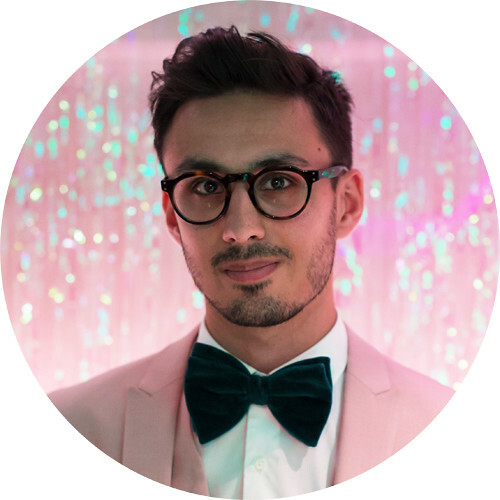 "A friend of mine on the MA Multimedia Journalism course at Bournemouth University got a three week internship on the fashion desk at Sky purely because of his relevant freelance experience (very much like yours) and the fact that they were interested to know a guy's perspective on fashion. So maybe you can try a similar route, as work experience does count for a lot and the contacts you make are invaluable. That said - as per what I've seen - there does seem to be lots of scope to freelance for fashion, sports and entertainment websites, but not as much full-time opportunities for the same. All the best!" "I can understand that you are not interested in "hard news", but the skills you will have learned on a multimedia course and the ability to write good copy are ones you can use elsewhere. More and more opportunities exist to write about fashion for dedicated audiences and photography has had a new lease of life with the digital age. There are opportunities out there, but you will have to work at finding them, selling the skills you have." So there you have it. In summary, experience is key. It's good to understand the journalism industry as a whole (shorthand, news reporting, media law - the works), but it is through opportunities, lots of work experience and, of course, your own enthusiasm for fashion that you can head your career in the path of fashion journalism specifically. Thanks to the experts who answered my questions, and also to Guardian Careers for the opportunity to have my query heard. Good tips! I'm your new follower!